His name is listed on the Anglesea Recreation & Sports Club Honour Board. George was born on 21 March 1850 Burniston, Yorkshire, England, son of Thomas Appleton, bookbinder and his wife Mary. After arriving in Melbourne in 1859 he attended St. Stephens School in Richmond. While there he joined the military cadets along with Sir John Monash. Five years later he was back in England attending Springfield College then Harrogate. In 1866 George was also a Private with the 7th West Yorkshire rifles. After leaving school he was an office boy at a Wine Merchants’ office before training as an engineer apprentice building locomotives. At 21, after completing his apprenticeship he headed to his Uncle’s ranch in Ohio, America for short time. He returned to England before arriving back in Australia where he joined the Civil Service Mining Department for three years. In 1875 George moved to Geelong joining David Guthrie in a Stock and Station business staying there for ten years. He also opened a wool sales operation at Mack’s Hotel, Geelong in October 1875. On 26 April 1883 at Geelong, George married Annie Brearley and later that year they had twin girls followed by a third daughter in 1886. At the age of 34 in 1884 he joined the Geelong Battery of Artillery as a Lieutenant retiring as Lt. Col. George left Geelong in 1886 to join Goldsborough Mort and Co. (now Elders) as auctioneer and opened the wool sales operation. He was their salesman until 1916. When war broke out at the age of 65 years George joined the AIF on 3 April 1915 as part of the Volunteer Defence Force attached to the High Commissioner’s military staff. His nephew William Traill Appleton enlisted a week later. George embarked on 14 April 1915 aboard the HMAT A18 Wiltshire for Egypt in command of the troop ship carrying reinforcements. After arrival in Alexandria he was attached to the General Spens’ staff in Egypt before leaving for London to take command of a camp at Brokenhurst. He was subsequently appointed a member of the Headquarters staff often visiting the wounded in hospitals all over England. He had applied to serve in France but this request was denied. He returned six months later with 750 men aboard the HMAT Runic arriving back in Australia on 21 December 1915. He retired as a Lt. Col from the Defence Force a week later. George had served as President of the Naval and Military Club and had been a member of the West Brighton and Melbourne Cricket Clubs for more than 60 years. He held his auctioneers licence for 70 years. George continued to live in Brighton with some holidays at Anglesea before he died in 1945 aged 95, six months after the death of his grandson William Riggall in WW2. William was born in Geelong on 20 April 1883. He attended Melbourne Church of England Grammar School, completing his education at the matriculation level. At the school he was part of the Cadets program reaching the rank of Sergeant. He enlisted in the AIF on 9 April, 1915 at the rank of Lieutenant and attended Officers Instruction School at Broadmeadows with his appointment to the commissioned officer rank of 2nd Lieutenant gazetted on 16 July. William embarked on 23 November 1915 aboard HMAT A40 Ceramic with the 7th Infantry Battalion, 12th Reinforcement. His diary tells us that they arrived at Alexandria on 19 December and entrained to Zeitown the location of No 2 Training Battalion, Victoria with about 3,700 men. William looked forward to the reorganisation of the Anzac troops in the hope of being part of a new Battalion and not to be stuck in Cairo as part of reinforcements. It wasn’t long before William received his wish. In March 1916, the 7th Battalion sailed for France and the Western Front and entered the front line trenches for the first time on 3 May. The battalion’s first major action in France was at Pozieres in the Somme valley where it fought between 23-27 July. During the second day of this battle, William was killed in action (24 July). He was buried in the field then later exhumed to Cerisy Gailly Cemetery. Arthur a 24 year old wool classer who was born in Warrnambool, passed his Matriculation examination in 1906. He moved up to Queensland where he enlisted on 8 June 1915. George embarked for service overseas aboard HMAT A69 Warilda from Brisbane on 5 October 1915 with the 5th Light Horse Regiment, 10th Reinforcement which formed part of the 2nd Light Horse Brigade. They headed for Egypt after calling in to Sydney to pick up more troops and arrived in Freemantle on 15 October, then Suez on 5 November where the troops disembarked. Here they joined the forces defending the Suez Canal from a Turkish advance across the Sinai Desert. On 23 February 1916 they marched out to Serapeum further north on the Suez Canal near Ismailia. The 5th Light Horse’s main activity in the Sinai was long-range patrolling, but it was involved in several small engagements during August, as the Turks retreated after their defeat at Romani. Arthur was wounded severely during one of these small engagements suffering shrapnel wounds to the chest. After three weeks in hospital he rejoined his unit. The ANZAC Mounted Division advanced into Palestine in late December 1916. In January 1917 Arthur attended the Royal Flying School for training at the school of Instruction Zietoun and subsequently attached to the Military School on Aeronautics as Cadet. Once his training was complete he transferred to the 57th Reserve Squadron of the Royal Flying Corps for further training at Moascar then onto the 21st Squadron for Instructor Training in aviation at Abbassia. A week after arriving he was struck down with Malaria where he spent the next three months in hospital. After his discharge from hospital Arthur briefly returned to his unit then in October he was transferred back to front line with the 5th Light Horse Regiment. With the fall of Gaza on 7 November 1917, the Turkish position in southern Palestine collapsed. The 5th was involved in the pursuit that followed, and then spent much of the first half of 1918 holding the west bank of the Jordan River. During this time it was involved in the Amman (24-27 February) and Es Salt (30 April-4 May) raids, both of which were tactical failures but helped to convince the Turks that the next offensive would be launched across the Jordan. Instead, the offensive was launched along the coast in September 1918, with the 5th taking part in a subsidiary effort east of the Jordan. It attacked at Amman on 25 September, and on 29 September 4,500 Turks surrendered to just two squadrons from the regiment at Ziza. Turkey surrendered on 31 October 1918, but the 5th Light Horse was employed one last time to assist in putting down the Egyptian revolt of early 1919. It sailed for home on 28 June 1919. Arthur disembarked at Sydney on 3 August then travelled onto Brisbane by rail with the unit. Arthur and Edith married in 1924 where they continued to live at Giru, Queensland. Arthur worked as a Café proprietor. In 1935 Arthur entered the transcript of a war novel “White Crosses Dot the Sands” into the RSSILA Centenary War Novel Competition. The novel is based on notes he took during the desert campaign in Palestine, 1915 to 1919. By 1943 Arthur and Edith had separated and Arthur was then living in Armidale, NSW working as clerk. He married Jane Stewart (known as Jean) at Newcastle in 1943. They moved to Manly where they stayed until Arthur’s death in 1958. Born at “Allanvale” Leoplold on 10 July 1879 the son of George Frederick Belcher, Mayor of Geelong (1873/4 & 1875/6). He was 3 years old when his mother died. Edward, knowns as Norman, attended Geelong Grammar with his brothers showing promise as an Australian Rules Footballer playing in the half-back and captaining the Geelong Grammar team. While attending school he also spent 7 years with the Geelong Grammar Cadet Corps. Norman played two games for Geelong in 1899 before joining the army on 11 February 1902 and serving as a Private with the Australian Commonwealth 4th Battalion Horse Mounted Infantry unit in the Boer War. He served for 186 days. Upon his return later in 1902, he again played for Geelong but transferred to Essendon for the 1904 VFL season. Despite positive reports, he failed to establish himself in the side and returned to Geelong. He played two more games for Geelong in the 1906 season. Following the 1909 death of his father, Norman was appointed Vice-Consul for Denmark during 1910 in succession to his father the late Hon. G. F. Belcher. Norman, a Geelong estate agent and auctioneer in business with his brother Alan traded as Norman Belcher and Co. He also served on the committees of the Geelong Racing Club and Geelong Golf Club. When war broke out in August 1914 Norman was quick to enlist a few weeks later at the age of 35 years. He entered the AIF as a commissioned officer at the rank of Lieutenant and was attached as a special appointment to the automobile corps of the 1st Light Horse Brigade. Norman (along with John Bell) supplied his own car – a “LaBuire” 10-12 h.p. with a 3 person capacity. The unit embarked for overseas service as part of the first contingent from Melbourne aboard the HMAT A3 Orveito on 21 October 1914. Norman served in Gallipoli and Egypt before returning to Australia on 15 October 1916. It appears that his return from overseas service was more to do with the capacity to find suitable jobs for him rather than sickness or injury. After returning from the war, at the last minute of the 1917 local election he stood for the Bellarine Ward of Geelong City Council, subsequently losing to John McCann. As a large ratepayer he wanted to influence decisions on extravagant spending by Council. Norman accumulated wealth becoming one of Geelong’s richest men at the time. He never married and shortly before Norman’s death in 1947 he was institutionalised for dementia. After his death there was controversy over his will with his brother Alan contesting the will and the taxation department also placing claims on the Estate. Norman was cremated at Springvale. John Bell known to his friends as ‘Johnny’ was born in Armadale in 1885. He attended Geelong Grammar School from 1896 at the age of nine years and left at the end of 1905. While a student of Geelong Grammar he served seven years in the School Cadets reaching the rank of Lieutenant in his last year. John was a very talented sportsman across different disciplines. During his school career he was a member of the football team (captained it in his last year); the champion eighteen; shot in the school rifle team, and played in the school cricket eleven. He rowed No. 7 in the school eight and also rowed No. 3 in the inter-colonial school crews. He was school prefect in 1904 and 1905. After leaving school he joined the staff of Messrs. Dalgety and Co., Geelong, and whilst there found time to take up polo, and played with the Geelong polo team. Johnny was one of the original ‘lads’ who challenged Aireys Inlet to a rowing race on the 28th December 1910. The first ‘competition’ was held on the Anglesea River on the 3rd January 1911 and after several years it became an annual rowing regatta held on New Year’s Day. He was a foundation member of The Anglesea Recreation & Sports Club in 1911. He also played 18 games in all, with Geelong in the Victorian Football League during the 1906 and 1908 seasons. At the time of enlistment he was a grazier at Shelford in partnership with his brothers. Johnny enlisted at the age of 29 on 2 September 1914 and like Edward Belcher the week before him applied for the Light Horse automobile corps supplying his own car (given to him by his brother) consequently he was attached to the 1st Light Horse Brigade Headquarters as a Special Appointment as Automobile Officer at the rank of Lieutenant. This brigade was made up of Light Horsemen from four different states and the only brigade recruited from a majority of men drawn immediately from the Militia formations within the various states. Johnny’s great uncle, the late Captain John Bell, of Bell Park, known as “Big Bell,” and after whom he was named, was one of the earliest promoters of the Volunteer movement, having raised and commanded the Geelong troop of the Prince of Wales’ Victorian Volunteer Light Horse in the year 1860. He embarked from Melbourne as part of the First Australian Expeditionary Force aboard the HMAT A3 Orvieto on 21 October 1914. The 1st Light Horse Regiment landed at the Gallipoli peninsula on 12 May 1915, attached to the New Zealand and Australian Division. It played a defensive role for most of the campaign but mounted an attack on the Turkish position known as “the Chessboard” as part of the August Offensive on 7 August. The regiment left Gallipoli on 21 December 1915. There were occasions, when needed, Johnny was promoted to Brigade Staff Captain during this campaign. Shortly before the evacuation of Gallipoli he was invalided to Malta with dysentery. From there he proceeded to England, where he resigned his commission with the AIF and was commissioned in the British Royal Flying Corps on 13 March 1916. Having gained his “wings,” he once more returned to Egypt, and saw much flying there and in the Sinai Desert during the operations which led up to the capture of El Arish and Gaza. Returning to England in February he was promoted captain in the Australian Flying Corps and attached to the 68th Squadron (No 2 Squadron AFC). After a period in England, during which he was employed testing the newest types of aeroplanes, and delivering them to the various aerodromes, he was sent over to France in May. After a short leave in England when he was equipped at Grantham, John returned with a battle squadron of the newest fighting machines (Airco DH.5s). During the Cambrai operations on 21 November 1917 he was leading a special mission of 6 machines on a low bombing and infantry strafing (shelling) expedition over Bourlon Wood, when he was seriously wounded by enemy machine gun fire in the chest, the bullet penetrating his lungs, but despite his injuries he landed his machine near Tincourt, East of Peronne and succumbed to his wounds on 27 December. He was buried at Tincourt British Military Cemetery adjacent to the Casualty Clearing Station with a four bladed propeller made and suitably inscribed by members of the Squadron. 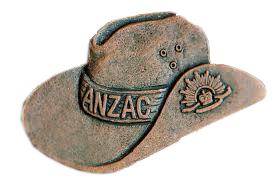 Both his father and brother wrote to the AIF requesting this temporary headstone be sent to them at their cost. Unfortunately with the weathering the headstone was not in fit condition for shipment, however the plate with the inscriptions and another photo (showing the current state of the headstone) was sent back to his family when the permanent headstone was put on the grave. On notification of his death the flags at the various Geelong wool stores were flown at half-mast out of respect to the late Captain Bell. His brother William Maxwell Bell worked at Dennys, Lascelles Ltd. Geelong. Percy was a young 19 year old labourer when he enlisted on 2 February 1915 with the consent of his mother. While training at Broadmeadows he was attached to the 21st Battalion embarking from Melbourne on 10 May 1915 aboard HMAT A38 Ulysses. They arrived in Egypt in June 1915 proceeding to Gallipoli 28 August. It was an eventful trip, the battalion’s transport was torpedoed near the island of Lemnos and had to be abandoned. The battalion finally landed at ANZAC Cove on 7 September. It had a relatively quiet time at Gallipoli, as the last major Allied offensives had been defeated in August. After evacuation from Gallipoli in December 1915, the 21st Battalion arrived in France on 26 March 1916. In April, it was the first Australian battalion to commence active operations on the Western Front. During the battle of Pozieres it was engaged mainly on carrying duties of supplies to the front trenches. While digging a new forward line from Orchard Corner the company sustained heavy shelling, during which Percy suffered shell shock and spent the next month in hospital recovering. In early May 1917, the battalion fought at Bullecourt and Percy was promoted to Lance Corporal. The battalion participated in the 3-kilometre advance that captured Broodseinde Ridge, east of Ypres during October. After this battle Percy asked to be reverted back to the rank of Private. Like the rest of the AIF the battalion saw out the year recuperating from the trials of the Ypres sector. After helping to blunt the German spring offensive of April 1918, the 21st battalion participated in the battles that would mark the beginning of Germany’s defeat ‘, those of Hamel, Amiens and Mont St. Quentin. Like many Australian battalions, the 21st could barely muster a company after the 1918 offensive. It was ordered to disband and reinforce its sister battalions. In response, the men of the 21st mutinied on 25 September 1918. By the end of that day, the order was withdrawn, and the battalion fought its last battle at Montbrehain on 5 October. The following day it became the last Australian battalion to withdraw from active operations on the Western Front. 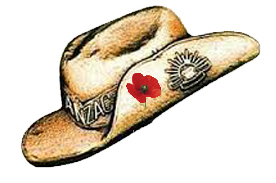 The 21st Battalion was disbanded on 13 October 1918. Percy was subsequently attached to the 24th Battalion for return to Australia on 28 March 1919. After returning to Australia Percy married Alva Meade in 1928 and the family lived in Brighton with Percy working as salesman. He died in 1960 and is buried in the Cheltenham Cemetery. Joseph, known as Joe, attended Flinders School, Geelong before following a career as a stock agent. He was a footballer of some note and played four games with Geelong in the VFL during 1906. Joe enlisted on 21 September 1914 and was attached to the 8th Light Horse Regiment, Headquarters at the rank of Captain. It was part of the 3rd Light Horse Brigade. The unit left for overseas service on 25 February 1915 from Melbourne aboard HMAT A16 Star of Victoria arriving in Egypt on 14 March 1915. Deployed to Gallipoli without their horses, the 3rd Light Horse Brigade landed in late May 1915 and was attached to the New Zealand and Australian Division. At Walkers Ridge on the early morning of 27 June the regiment came under heavy shelling from 6” Howitzers with considerable damage done to the trenches and killing 5 men, wounding 14 others. Joe was one of the two officers killed. He is buried at Ari Burnu Cemetery, Gallipoli. Jack, born in 1885 Geelong, attended school at Eastbourne College, England as well as Geelong Grammar School where he was a School Army Cadet. Upon leaving school Jack trained as a mechanical engineer prior to joining the Cheetham Salt Works in 1906 where his father was one of the founders of the company. Jack was one of the original ‘lads’ who challenged Aireys Inlet on the 28th December 1910 to a rowing race. The first ‘competition’ was held on the Anglesea River on the 3rd January 1911 and after several years it became an annual rowing regatta held on New Year’s Day which continues today. At 29 years of age Jack he enlisted on 11 September 1914, and embarked from Melbourne with the 1st Divisional Train of the Army Service Corps on 21 October 1914 aboard HMAT A3 Orvieto. They arrived at Alexandria on 9 December and travelled by train to Cairo, quickly settling into camp life preparing for the conflict ahead. After arriving at Lemnos on 23 April 1915 they waited for the time to leave, proceeding to Caba Tepe on 1 May. However Jack never landed on the shore. After reassessing the terrain the Coy. returned to Alexandria to reform and be structured to suit the local Gallipoli conditions. Being very board at camp with little to do Jack started enquiring about transferring to the Engineers but was refused. Connections and perseverance provided Jack with the opportunity to embark on 3 November aboard the S.S. Transylvania for Lemnos arriving at Gallipoli the next day. This time landing ashore late at night and heading for Shrapnel Gully. His first task was to prepare sketches and estimate materials for housings to accommodate the 6th Light Horse. He then designed a new underground magazine and built a new trench, as he was tired of it being in a hole which was like a swamp when it rains. His biggest engineering job was being in charge of ‘Leanes’ trenches making bomb-proof dugouts, drainage, survey work etc. Orders came early December to build a light pile footbridge to the S.S. Milo and step ladders along for men stepping down into boats. Ordnance were packing up a lot of stuff, rumours were strong but he believed it seemed hardly credible there would be an evacuation. The rumours were confirmed, Jack and his men had to prepare the SS Milo as a point of evacuation by blowing holes in her side. Jack was one of the last to leave the Peninsula on 20 December. His role had been crucial to the successful evacuation from the Gallipoli Peninsula. While on leave to England during October 1916 Jack met Winifred and instantly fell in love with her. In April 1917 he was promoted to captain and the next month was transferred to the 1st Division Engineers HQ, where he became adjutant. While on leave in April 1917 Winifred Warren and Jack became engaged and married on 30 August 1917 at St. Michaels, Bedford Park at Brentford, England. However, in January 1918, in response to requests from his brother Andrew back home, Jack applied for six months of personal leave to return to Australia. His mother was of ill health and there was a need to sort out family business and financial matters. Since the war began Jack’s father had died and his brother Trevor had been killed at Pozières. He embarked for Australia in March without Winifred. She arrived in Australia sometime after the birth of Beryl in June 1918. Sadly, Jack’s mother died in November that year just after Jack was awarded the Military Cross for his service on the Western Front. On return from the war Jack returned to the Cheetham Salt Works as Chief Engineer, building a new refinery, installing electric power and establishing greater mechanisation of salt handling introduced in the form of a portable elevator for the salt stacking process. A great deal of the specialised equipment required was built by the Company in its own workshops. With the death of his brother in 1921 Jack became managing director. He retired in 1964 then died at Highton in 1970. William was allocated initially to ‘D’ Company, Geelong before transferring to the Australian Medical Corps in Geelong, subsequently to the Broadmeadows camp embarking for overseas a few days later. While in Egypt he was temporarily detached from 13th Field Ambulance to Divisional Clearing Station embarking from Alexandria and disembarking in Marseilles on 13th June 1916. He had been ill a couple of times with Pyrexia of unknown origin (PUO) and transferred to hospital. On 24th November 1916 William was taken on strength to 12th Field Ambulance, still part of the 4th Division. In April-May the following year near the town of Vaulx, thousands of Australian casualties from the two battles of Bullecourt fought on 11–12 April and 3–16 May 1917. A small cemetery, Vaulx Australian Cemetery was started by the 12th Australian Field Ambulance – and the work during the two battles was described as ‘extremely heavy’. According to the official Australian medical history, 234 Australian Army Medical Corps (AAMC) personnel were either killed or wounded during this period, and a diarist of the 4th Field Ambulance (also part of the 4th Division Medical Services) described the situation on 11 April at the height of the first battle of Bullecourt:…the doctors with their assistants never stopped … the stretcher bearers had one continuous stream of wounded and barely had time to eat. Every possible man helped to carry the wounded in … The weather kept fine till the afternoon and then the snow came and it was frightfully difficult for the bearers to pick their tracks. The men were drenched and cold, but as nothing as compared to the wounded who lay out in the snow. It was a sight to see the smaller men stick to their job, backwards and forwards … [It] was the most solid days carrying in France. On 13th March, 1919 William marched out to England AAMC Training Depot returning home the following month via “Port Denison” as part of the nursing staff; though he was admitted to the hospital on board ship with influenza during the journey home. Once home William lived back with his parents for a short time before moving out to farm at Mt.Moriac. In 1921 he married Winnie Brown and they had two children. By 1936 William and Winnie were living at Barrabool, with William continuing to farm. In 1954 he was listed as a grazier and they had moved to Belmont. William died at Geelong in 1971. Susan Cook (Portarlington RSL researcher) contributes that Henry married nurse Maud BIGGS from Portarlington just after the war. They lived in Geelong with their family. He didn’t embarked for overseas because of the demobilization of the AIF. He was discharged 24/12/1918 due to the end of the war. He didn’t embark for overseas because his mother formally protested at his enlistment. 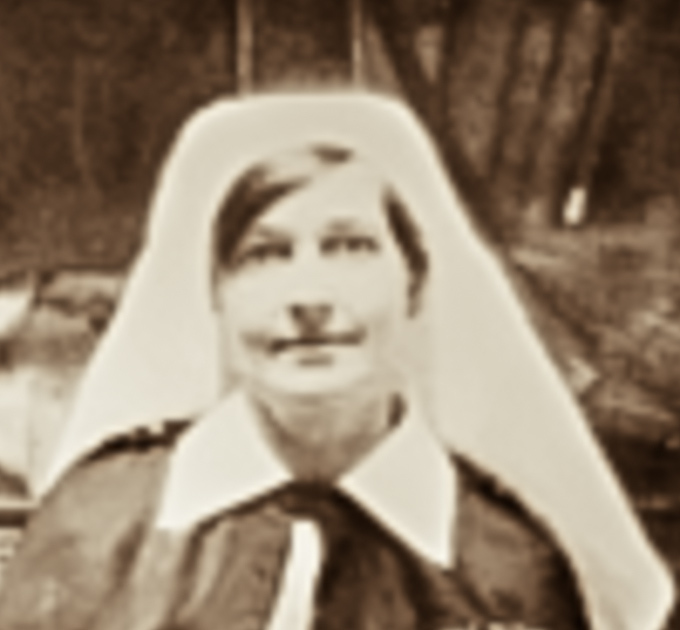 Winifred enlisted 16/08/1918 at as a single woman; having previously served in the Queen Alexandra’s Royal Army Nursing Corps (QAIMNSR) enlisting on 16/8/1914 and served overseas. Her name is listed on the Anglesea Recreation & Sports Club Honour Board. 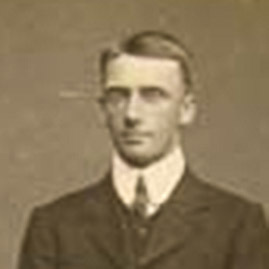 Thomas March Hall (1893 – 1917) was the eldest son of Thomas and Eva Hall. After a brief time in Geelong the family moved to Melbourne where Thomas’ father set up his medical practice. At the age of 22, Thomas, an engineering student, enlisted in Melbourne on 9 June 1915 and was attached to the 29th Battalion, D Company. They embarked in November aboard HMAT A11 Ascanius arriving in Egypt early December. While training at Tel-el-Kebir in March 1916 Thomas was promoted to Corporal. The 29th Battalion arrived in France on 23 June 1916. Fighting its first major battle at Fromelles on 19 July 1916. The nature of this battle was summed up by one 29th soldier: “the novelty of being a soldier wore off in about five seconds, it was like a bloody butcher’s shop”. In October Thomas was promoted to Sergeant. The battalion had been doing road and railway repair work at Montauban when they were instructed to relieve the 50th Battalion at the Intermediate Line in the Needle Blight and Cow trenches. While making his way to the trenches on 24 January 1917 Thomas injured his left knee (internal derangement) and was subsequently transported back to London for treatment. He spent the next seven months recuperating, returning to his unit training at Blaringhem, France (46km south east of Ypres).on 25 August 1917. Three weeks later they marched 23km to Steenvoorde. Continuing their daily march the 29th battalion arrived just south of Ypres on 24 September. Early evening the next day they were ordered to move to Hooge immediately. They marched all night arriving at 4.25am encountering heavy bombardment of gas shells while settling in at the tape line. At 5.50am the battalion attacked enemy positions at Polygon Wood, taking the first objective but finding that the brigades on their flanks had not proceeded preventing the 29th battalion from continuing on. At noon they advanced to the final objective achieving that by 1pm. There were enemy counter attacks for the rest of the day which were easily repulsed. Thomas was one of 42 men from the battalion killed in this operation, on 26 September, four of those were from the Surf Coast Shire. He is buried in the vicinity of Polygon Wood and remembered on the memorial there. Richard was born at Waurn Ponds, one of six children to John Stead Hunt and Mary Ann Hunt (nee Mawson). He attended school at Paraparap State School. He is on many honour boards across the Surf Coast either from his involvement in those communities or because his father was a Shire Councillor. Richard, a Pettavel farmer enlisted in Geelong for what turned out to be the last year of the war at the age of 20 years 3 months. Richard had some prior military training and was ranked Corporal in the Trainees carrying a referral to the training camp as to his ability. He trained at the Broadmeadows Camp with the 2nd General Service Reinforcements before the unit embarked overseas from Sydney via New York, disembarking at Liverpool on 2 July 1918. A transgression of being in the crew’s quarters during the journey was admonished on arrival in New York. Arriving in Liverpool he marched into the 5th Training Battalion, England and the next day was admitted to Hurdcott Hospital with the mumps. The following month he was back in hospital with tonsillitis. On discharge from hospital 21 August he marched back into the 5th Training Battalion, Fovant. In September Richard proceeded overseas to France, transferring in to the Australian Infantry Base Depot (AIBD) on arrival. On 26 September he was taken on strength to the 22nd Battalion which took part in the last action fought by the AIF on the Western Front, the battle of Montbrehain / Beaurevoir Line, in October 1918. The Beaurevoir Line was the last of a series of German defensive lines known collectively by the Allies as the Hindenburg Line. It was approximately eight kilometres to the rear of the main Hindenburg Line and consisted of thick barbed wire entanglements and well-sited machine and anti-tank gun bunkers. The bulk of the trenches, however, were only partly dug. The original attack on the Hindenburg Line launched on 29 September had been intended to smash right through the Beaurevior Line as well, but had not succeeded in this objective. Along with the 46th British Division, the 2nd Australian Division was ordered to breakthrough the Beaurevoir Line on 3 October 1918. The Australians were to seize the village of Beaurevoir, and the British Montbrehain. The Australian attack was a success, but was stopped short of the village due to insecure flanks. The British captured Montbrehain, but were unable to retain it. After an ill-fated attempt to capture Beaurevoir on 4 October, the 6th Australian Brigade was launched against Montbrehain the next morning. The village was secure by the end of the day, but came at the expense 430 casualties – a cost regarded as excessively high for such a limited objective. 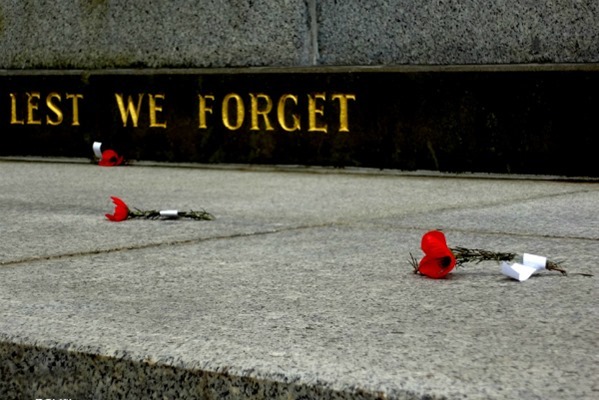 At 11 am on 11 November 1918 the guns on the Western Front fell silent. After three weeks leave in UK, Richard re-joined his unit on 23 March 1919 for a brief time before they marched out to the UK on 30 May disembarking at Southampton the next day. On 22 July 1919 Richard left England for return to Australia per H.T. “Ulysses” arriving in Melbourne on 2 September 1919. He was discharged three weeks later. John enlisted in the AIF in September 1916 with the rank of ‘Gunner’ training with the 24th Battalion, 2nd Field Artillery Reinforcements at Maribyrnong. He embarked from Melbourne with the rank of ‘Driver’ and disembarked in Plymouth, England on 11 April 1917 attached to the Reserve Brigade Australia Artillery at Larkhill. John was promoted to Bombardier for two months to complete establishment. He proceeded overseas to France from Southampton on 3 November 1917 marching into Rouelles, France, then the next day to the Australian General Base Depot. On 24 November he was taken on strength to the 1st Division Ammunition Column and posted to No. 1 section. The First Division rejoined the Australian Corps in the Somme region in 1918 in time to participate in the Battle of Amiens and fought on to the Hindenburg Line. When the enemy launched its second phase of the spring offensive, the Division was rushed from the Somme to help plug the gap and was involved in [April] The Battle of Hazebrouck in which the Division fought the defence of Nieppe Forest; [May/June] Merris – 1st Australian Division, in a series of small operations, recovered ground lost in the German offensive; [August] The Battle of Albert in which the Division captured Chuignes, a part of the Second Battles of the Somme 1918, then they went on to capture Lihons. The Division’s last battle was in September – The Battle of Epehy, one of the Battles of the Hindenburg Line. The week before Armistice was declared John went on leave to the UK re-joining the unit at the end of November. He stayed five months for the clean up before returning to England where he attended a school on Stock Breeding. He returned to Australia per “Euripides” disembarking at Melbourne on 20 October 1919. John returned to farming at Mount Moriac and married his cousin Hannah in 1921. They continued to live and farm at Mount Moriac raising their son until 1937 when the family moved to Modewarre, most likely his fathers property ‘Clifford Estate’. Like his grandfather and father before him John became a Barrabool councillor (1939-1952). John continued farming at Modewarre until his death on 4 May 1952 at Mount Moriac. He was decorated with the Military Cross, Distinguished Service Order & 2 Bars, and was twice mentioned in dispatches. He became ill during basic training at Geelong and was discharged on medical grounds on 22 November 1915. He was decorated with the Distinguished Service Order, the Order of St Michael and St George and was mentioned a further four times in dispatches. “Joe” Slater was the only son of Henry and Diana Slater. Born in Ballarat East, Victoria, on 28 November 1888, he moved with his family to Geelong as a young boy, where he attended and matriculated from Geelong College. Slater became the manager of a stationery printing business, but was much better known as a footballer. 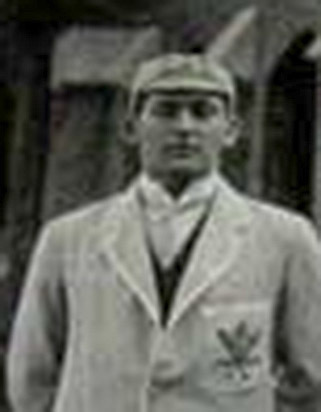 He began playing for the United Methodist team in Geelong, and soon entered the senior Victorian league. He was known as a “serious athlete” because he did not smoke or drink, and as a “brilliant and dashing” player for the Geelong Cats and Victoria. Slater applied for a commission in the Australian Imperial Force in April 1915, and was posted to the 22nd Battalion with the rank of second lieutenant. He proved an able soldier and within 11 months was promoted to captain. 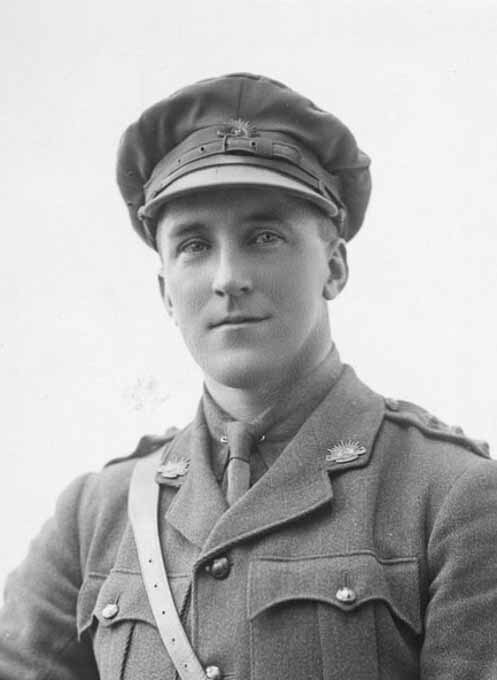 Slater spent around two months on Gallipoli towards the end of the campaign. In early 1916 he went to France, and was for some time appointed chief instructor of a bombing school before joining his battalion in the field in September 1916. At some point he met and became engaged to Nellie Wigley, a nurse in the Australian Army Nursing Service. Slater was a popular company commander for the 22nd Battalion and a handy addition to their football team. In January 1917 Captain Slater was mentioned in Sir Douglas Haig’s despatches of November 1916 for his “distinguished and gallant conduct and devotion to duty in the field”. In May 1917 he was leading his company in an operation at Bullecourt when he was hit by shrapnel, but on the way to a dressing station he was caught by machine-gun fire which killed him instantly. Although men went out to look for his body the following night, nothing was found except one of his boots. To this day he has no known grave. As a man and a footballer he was “one of the best”, and I am sure that everyone who knew of him will be sorry that Geelong and the club have lost one whose place it will be hard to fill. The committee and players of Collingwood Club tender their sincere sympathy to your club on the loss of your gallant champion – killed on the field of honour. His name was a by-word amongst footballers for skilful and gentlemanly play, and his memory will be treasured in football gatherings for many years to come. He embarked for overseas 14/10/1918 from Sydney on SS Wyreema, however the troopship recalled so he never went overseas and was discharged on 21/12/1918. Charles Lyle Young was born on 12 March 1893 in Barnawartha, Victoria. 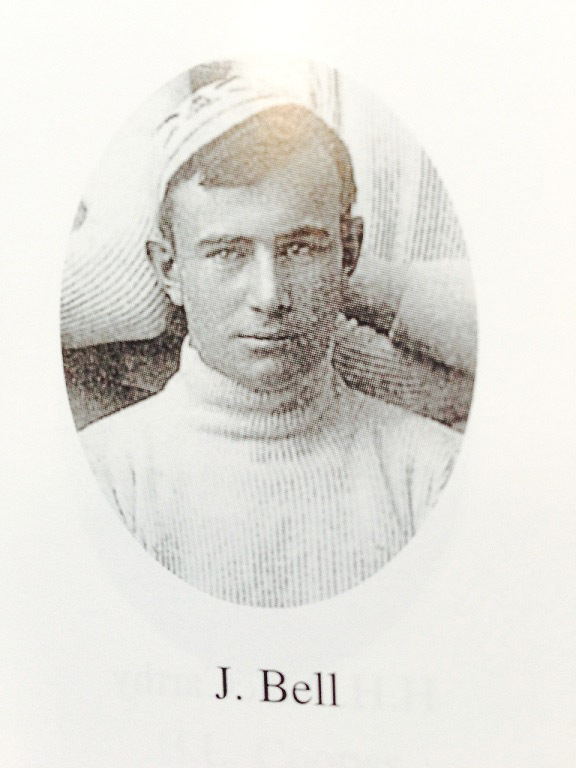 He attended Geelong College as a border in 1909 and 1910 where he was part of the 1st VIII rowing team. After leaving school he worked as a station overseer at Bell Plains Station, Corowa where his father was the station manager. He also worked in a stock and station agent’s office and was a station manager when he enlisted as a single man on 29 January 1915. Prior to enlistment he had 4 years military experience with the Senior Cadets and was well-known throughout the Riverina as a good horseman and cricket and tennis player. He was assigned to the 8th Light Horse Regiment embarking for Egypt on 25 February 1915 from Melbourne on HMAT A16 ‘Star of Victoria’. The 8th Light Horse arrived in Egypt after the bulk of the AIF had sailed for the landing on Gallipoli. It underwent an intense training regime over the next few weeks and, where possible, the men took in the local sights. Following the Gallipoli landings, it was decided to send the light horse regiments to the peninsula, unmounted, to reinforce the infantry battalions there. In May the 8th Light Horse embarked for Anzac Cove, where it moved up to Walker’s Ridge into front-line positions opposite the Nek, and spent the following months rotating between front-line duty, supports, and rear areas. On June 27, 40 days before Birdwood began his August offensive, the Turks began shelling the trenches at Walker’s Ridge held by the 8th Light Horse Regiment. The Turkish barrage was part of a softening up of the Australian line for a frontal attack. Three days later, the Turks came hurtling down the hill from the Nek but were repulsed by the 8th and 9th Light Horse. A few days later, Charles was killed on 3 July. He is buried at Ari Burnu Cemetery.